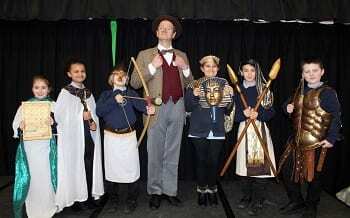 The mysteries of ancient Egypt have been explored by children at Upton Junior School in Broadstairs. 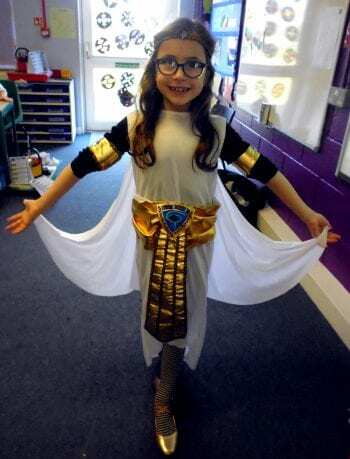 Year 4 pupils made the journey of discovery and dressed in colourful home-made robes and garments from the period as they learnt about the ancient civilisation and how it developed. They tried their hand at creative art and literacy, exploring hieroglyphic writing and papyrus paper, the use of death masks and how pyramids were built. 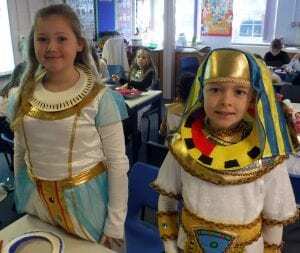 The special day marked the end of their topic Temples, Tombs and Treasures. Each class presented an informative short performance about various aspects of their studies, including the importance of the River Nile, Egyptian goddesses and gods, mummification, the Book of the Dead, and Howard Carter discovering the tomb of King Tutankhamun. 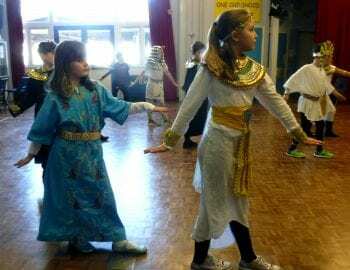 More than 150 parents watched the presentation, and to add to the atmosphere they were offered traditional Egyptian food to taste. This included pitta, hummus, tzatziki, pomegranate seeds, pineapple, peppermint tea, mango, and olives. The visitors were guided into the main hall by children who wrote their names out in hieroglyphs. 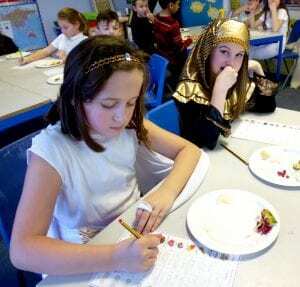 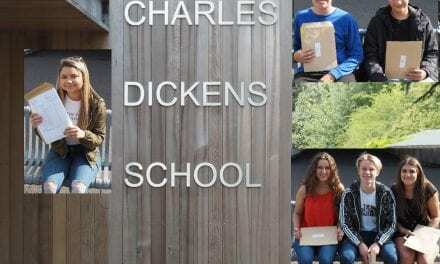 “Themed days are a brilliant and effective way to really explore a subject. The outfits that our pupils created with their families were creative, colourful and beautifully detailed. 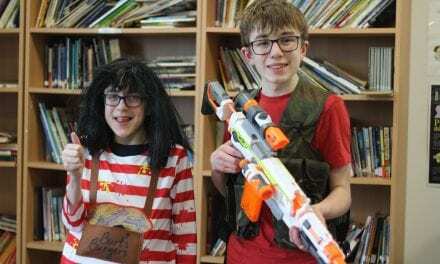 Upton Junior School in Broadstairs is part of the Viking Academy Trust with Ramsgate Arts Primary School and Chilton Primary School, Ramsgate. 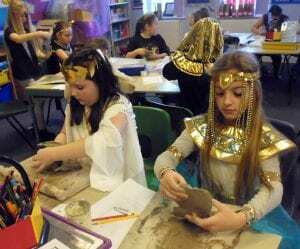 Thank you, Upton Junior School for sending this very interesting article about your Year 4 pupils learning about the ancient Egyptians as part of the Temples, Tombs and Treasures topic. 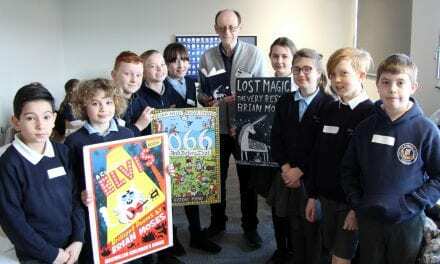 NextSt Ethelbert’s Catholic Primary School Win St Lawrence College Science and Engineering Challenge!